Olley’s Armies Exo-Armoured 28mm Dwarves are on Kickstarter Now and currently funded with 7 days to go! 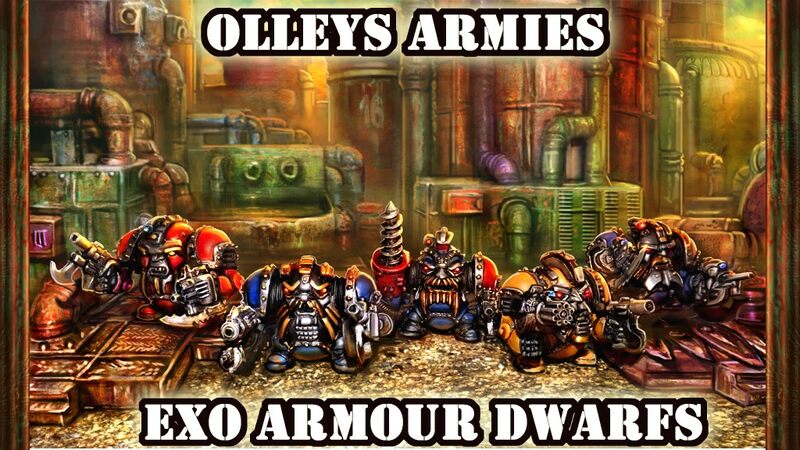 Bob Olley hopes with your support and backing to be able to fund the expenses involved in producing the 10 “Mighty Exo Armoured Dwarves” shown in the video. Bob Olley hand sculpted the masters for these miniatures, giving them the unique Olley character that he is famous for. They are hoping to cover the costs of sculpting, moulds, castings, and Kickstarter fees. The miniatures are cast in high quality metal, which may contain some lead, they are not toys and are not suitable for children. They are intended for collectors of 14 years of age or above. The miniatures will be supplied in kit form, unpainted and will need a small amount of assembly. They will supply 25mm round plastic bases if requested, you will be asked this on the survey when the Kickstarter ends. On average they measure 28mm from foot to top of head (not including steam pipe exhaust). They fit scale wise with existing Olleys Armies Miniatures scrunt ranges.